Mitsubishi Motors Corporation (MMC) announces the global debut of its new Small Crossover MPV at the 25th GAIKINDO Indonesia International Auto Show (GIIAS). The class-leading model will combine the outstanding comfort and versatility of an MPV with the performance, strength and toughness of a Mitsubishi Motors SUV. 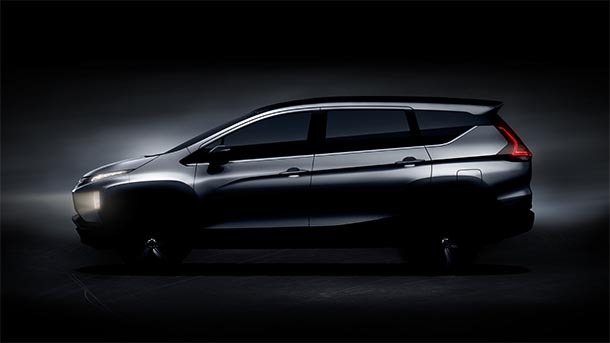 MMC’s all-new Small Crossover MPV will come loaded with MMC technology and MMC SUV knowhow. The crossover MPV is to debut on the Indonesian market in fall of 2017. Its body will be wider and larger than MPVs in its class. With a fully optimized variable interior, the new model will bring class-topping*1 living space for seven occupants to ride in comfort. It also adapts quickly and cleverly to a wide array of cargo. It’s distinctive advanced DYNAMIC SHIELD front, its large sculpted fenders front and rear, and its prominent ride height will be first sight proof of the serious SUV performance and toughness rightly expected from Mitsubishi Motors. The new model will be produced at MMC’s new Indonesian factory in Bekasi Prefecture, West Java. The GIIAS will be held from August 10 through 20 at the Indonesian Convention Exhibition (ICE) in BSD City, Tangerang, Banten, Indonesia.